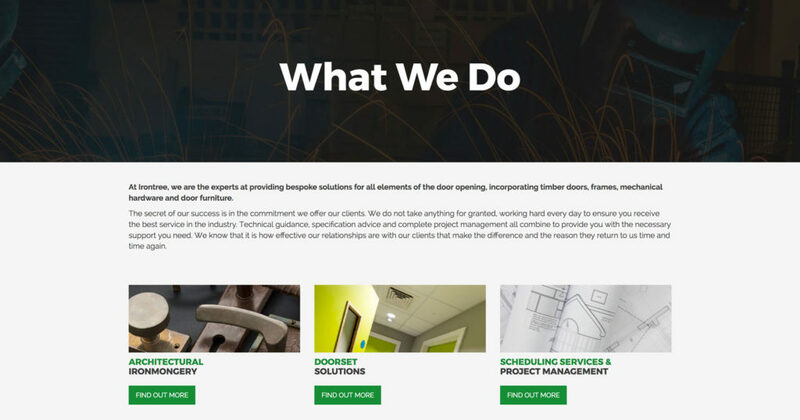 Nick at Irontree Solutions approached us with a vision of rebranding his existing ironmongery and doorset solutions business and bringing it up to date with a fresh new look. The business required a full overhaul with the creation of a new brand, brand guidelines and fresh new website. Nick wanted to ensure that the website displayed what they do as a business within a few seconds of landing on the website and deliver a great UX. Pixels&Noise walked through the process with the client and undertook 2 discovery meetings to discuss the new look and feel of the brand, how they wanted to be seen and how they wanted their new website to operate, look and function. We provided Irontree Solutions with 10 different logo options to choose from which were then refined once the favourites had been chosen. 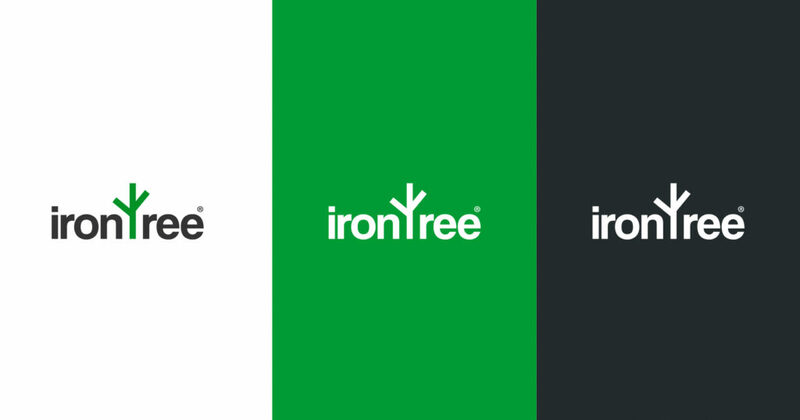 Once a decision had been made with the new logo we proceeded to deliver a new set of brand guidelines for Irontree and 3 different website designs to consider. 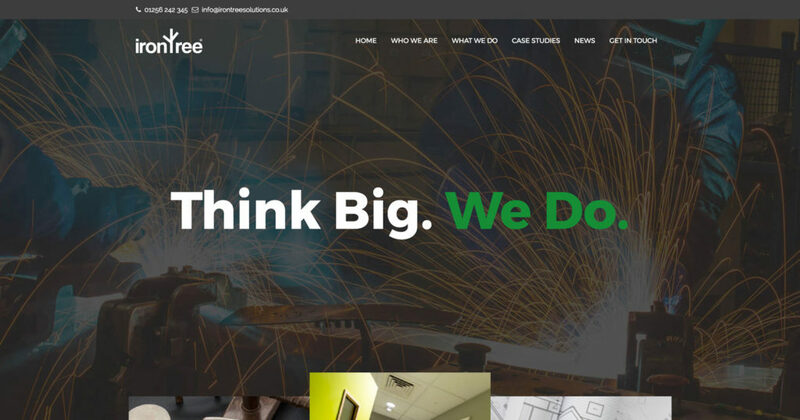 After a few rounds of amends to the final design chosen we delivered a fully responsive WordPress based custom built website within 8 weeks of project commencement. Pixels&Noise is a Full Service Creative Digital Marketing Agency. We strive to deliver high quality measurable creative campaigns and solutions for all our clients.